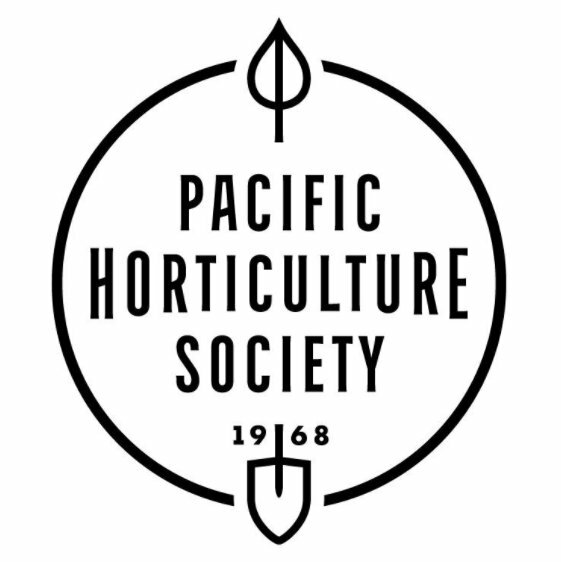 Last weekend the Oregon Cactus & Succulent Society had a show and sale at Portland Nursery on Division, this event most certainly required a visit. Of course on some crazy fantasy level I hoped it might be a small scale version of the Los Angeles Cactus and Succulent Society Plant Show and Sale (which I heard about first reading Debra Baldwin’s books and again last week on A Growing Obsession) with its fabulous plant and container pairing competitions. Or maybe like San Francisco Succulent & Cactus Society's & The Bromeliad Society's of San Francisco Annual Show and Sale that Kelly of Floradora took us to last week? But it was not to be, this is Portland, Oregon after all. Our show and sale took place in a parking lot, under a tent, in the rain. Was I disappointed? No. I finally got to meet and chat with Luther Sturtevant from Kara Nursery (one of our early plant lust contributing nurseries). This man is extremely knowledgeable, if you are interested in Cacti and Succulents and you have the chance to meet and talk with Luther do it! That’s him (on the right, in the hat) and my husband Andrew (on the left) chatting at the sale. The other vendor was Deborah Elfberg, she and her husband own Northwest Cactus and Succulents in Aloha, Oregon. Here is a photo of a photo of their amazing plant filled greenhouse. Ok so on to the plants at the show… Fabulous eh? For some reason I ended up buying more than I meant to (you’re not surprised? )… I finally own a Fan Aloe (Aloe plicatilis, for only $5!) And the graceful shape of this Aloe suzannae made it a must have. 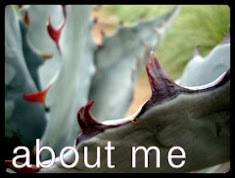 When Luther called this Leuchtenbergia principis an Agave Cactus, well, it had to be mine. The light green coloring of this Agave striata 'Nana' is gorgeous! (theoretically this is a non-monocarpic agave) And how could you resist this crazy Mesembryanthemum lapidarig margarite…it looks like a collection of arrows pointing in different directions! 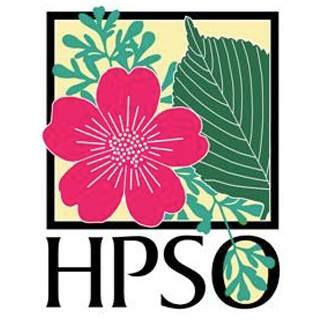 If you’re feeling like you missed out then mark the dates July 15-17 on your calendar as that’s when a second sale will be held at Portland Nursery on Stark Street. 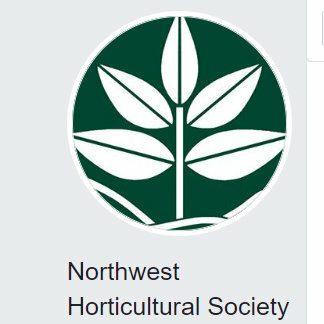 Luther will also be presenting a program on growing “weird plants” at 1 pm, Saturday, July 9 at the Stark Street Portland Nursery location. We are lucky to live close to the Beaverton Farmers Market where we have Northwest Cactus and Succulents every weekend (Sedum Chicks too!). There's actually a nice selection of great nurseries there. You should come out sometime. 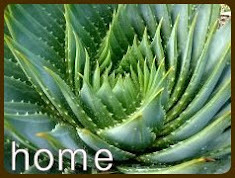 Great aloes! I love succ sales like that... you always find the nice little plants for cheap, and all the great cultivars. Thanks for sharing that sale. Too many spiky things for me...not! 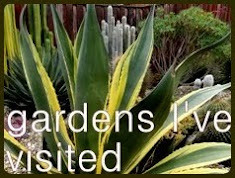 The variety is really nice, and I'm glad you found an Agave striata...a favorite of mine. Had one until 2 days of 50 mph winds shredded it. Ever tried Cotyledon orbiculata / Pig's Foot? I bet they had those for sale. And we even got to see your husband! I was there first thing Friday morning. Bought two Agaves, one from Luther and one from Debra......Looking forward to the other sale in July at Stark St. location! 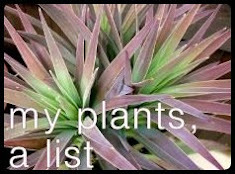 I'd pick a nice large container for that Agave striata 'Nana'. You know, not too trendy, one that you'll keep around for awhile BECAUSE YOU WILL NEVER WANT TO REPLANT THAT SOB EVER AGAIN. Terminal lethality aside, it's one of my favorites. My plant has darkened with more sun, but still keeps that cool translucent effect. what a great sale here...I know you were so happy!! Ryan, that's right! I remember her saying that they were at the Beaverton Framers Market every week...it's tempting! Dirty Girl, they each were great deals, but when it was all said and done I was surprised at my total $! Beech Street, I was SO tempted to go on Friday morning! But the husband really wanted to go with and it's not like I NEEDED anything so I waited until Saturday. 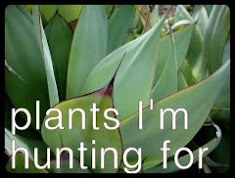 I hope you'll post about your Agaves so I can see what I missed! Brian, I consider myself properly warned! Darla, it was pretty fun...so much so I am considering going to the next sale in July. I was totally feeling left out and can't wait to make the second sale - thank you for the great post!!!! Hi Danger Garden, that Mesembryanthemum looks fantastic - not a variety I was familiar with, so thank you! scott, heaven would have had a couple more agaves but this was pretty fun. Lauren, but you don't like spiky plants! Ben, it is pretty cool isn't it? A Saguaro! Not sure that one's going to thrive in your climate. Maybe someone with a glass house bought it? Thanks for your kind comments. It was good to meet you all at the sale. 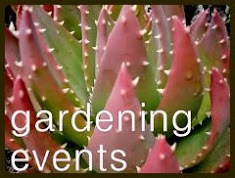 The July event is always a bit larger with more "show" plants as well as more vendors. What a great bunch of succulents and super duper sale! It looks like you took home a wonderful bounty! You lucky girl!